Fujian Changle Xinmei Knitting Textile is a large family owned business with 600 employees. Founded in 2003, the lace and mesh specialist reports $35 million in sales. A 100,000m2 production site is equipped with 215 Karl Mayer machines which turn out 12,000 tons of lace each month. The collections are organised by market: lingerie, swimwear, activewear, childrenswear, men’s intimates, etc. Fujian Changle Xinmei Knitting Textile is a high performance business with a range of benefits for clients: the possibility of small runs, low minimum order requirements, stock service, quick deliveries, customized project partnerships, an in-house design team, an efficient sales team, state-of-the-art equipment, and more. The company is Oeko-Tex and ISO certified. Fujian Changle Xinmei Knitting Textile exports 10 percent of its output, primarily to India, Brazil, North America, France and Italy as well as Turkey and Korea. Gap, Marks & Spencer, Victoria’s Secret, Zara, and H&M are just some of the company’s clients. Latest innovations: Cord yarns and lightweight 20D laces. 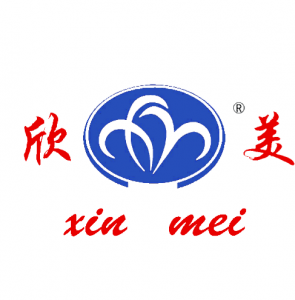 You wish to request an appointment with the brand « XINMEI KNITTING TEXTILE ».